It was a beautiful morning in Granville Ferry as we prepared the trailer for our departure. 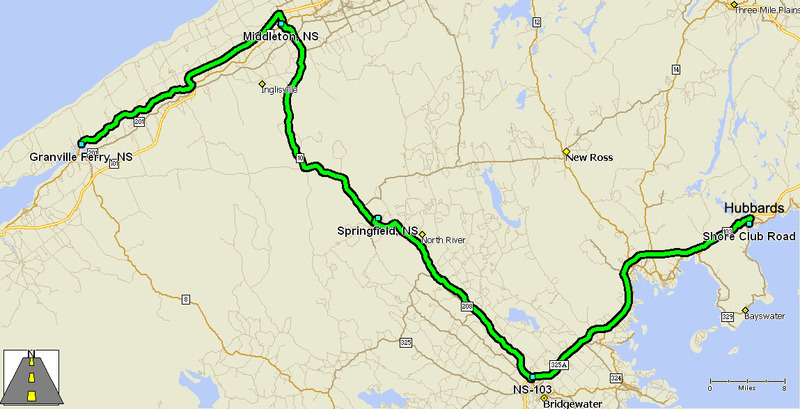 Our route took us across the peninsula that makes up the bulk of Nova Scotia to Hubbards. 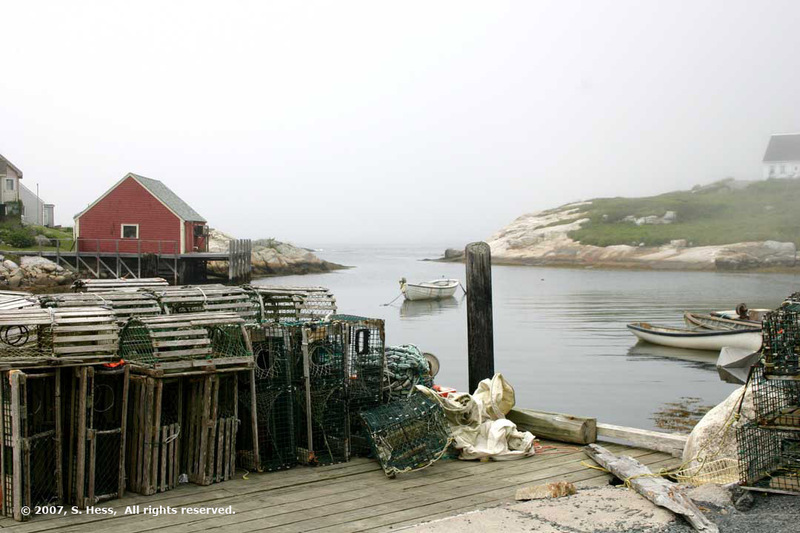 Hubbards is located on St. Margaret’s Bay, about 30 miles west of Halifax. The campground is nicely situated on the bay with its own beach. It was still sunny when we got to the campground. 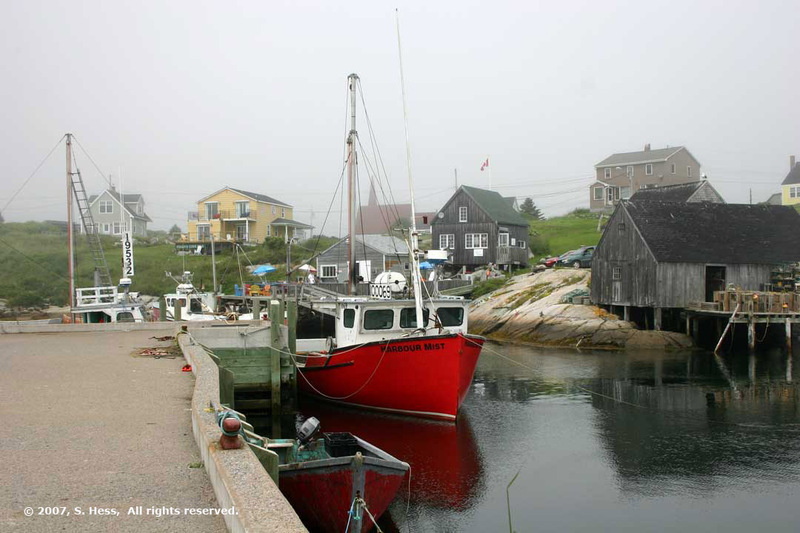 After setting up the trailer in the campground, we decided to drive to Peggy’s Cove, located at the entrance to St. Margaret’s Bay. 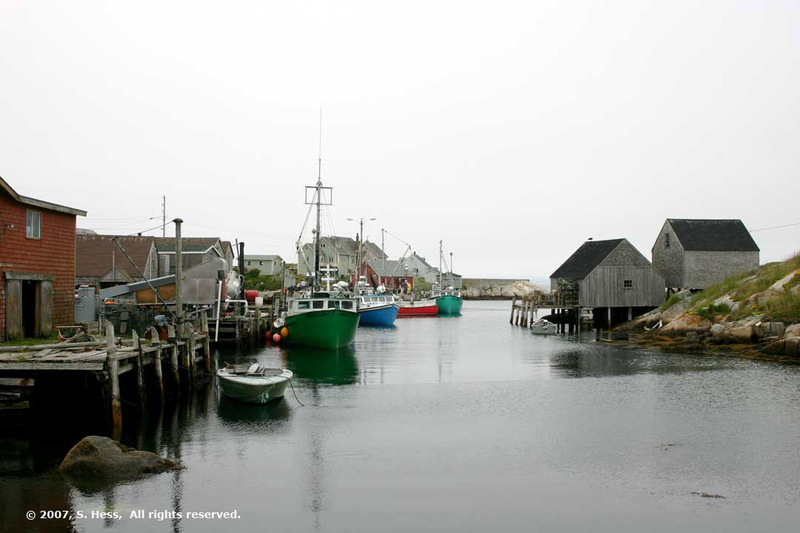 Peggy’s Cove is supposed to be the most photographed village in Nova Scotia. 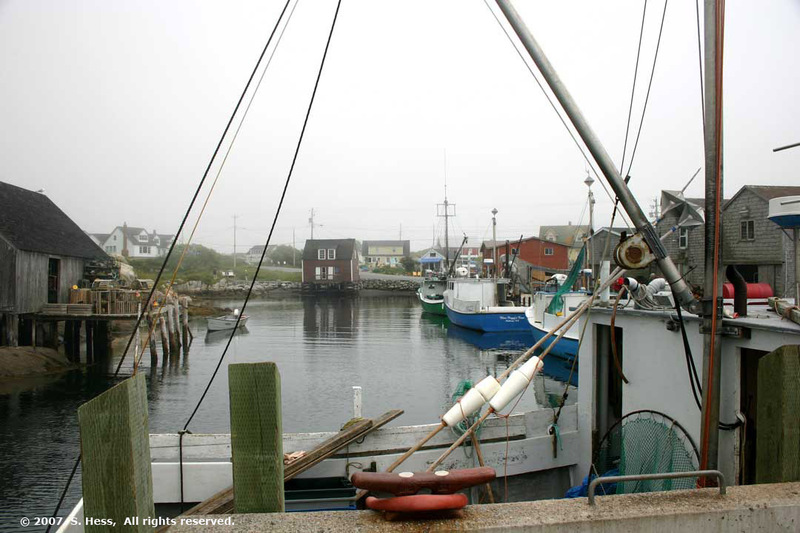 It has a classic fishing village look, complete with lighthouse, fishing boats, and docks with lobster traps and buoys. 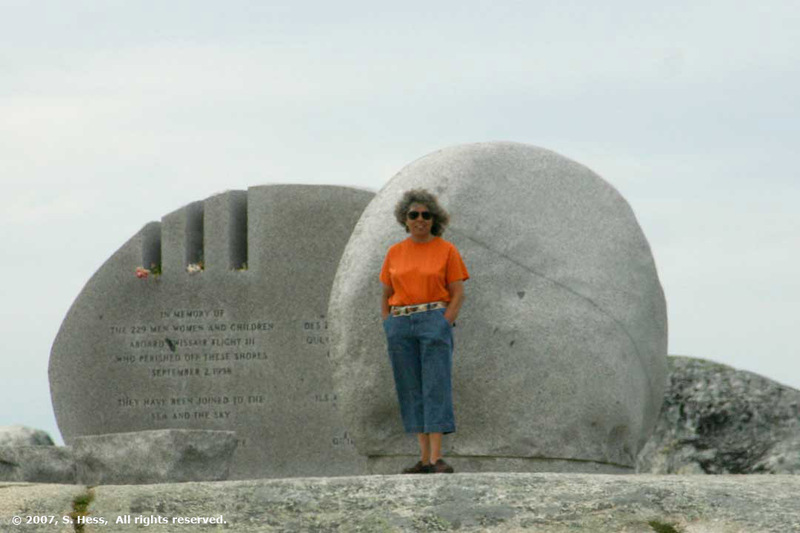 About two miles from Peggy’s Cove is a monument to the victims of Swissair flight 111, which crashed just offshore while trying to make an emergency landing in Halifax. 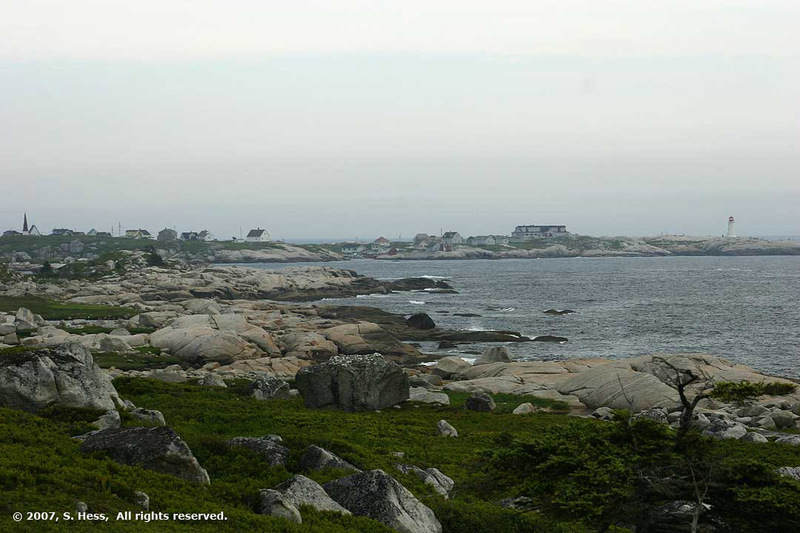 We stopped at the monument and took some pictures of Peggy’s Cove from there. As I took the pictures, you could tell that there was a fogbank offshore, but the visibility was not diminished. 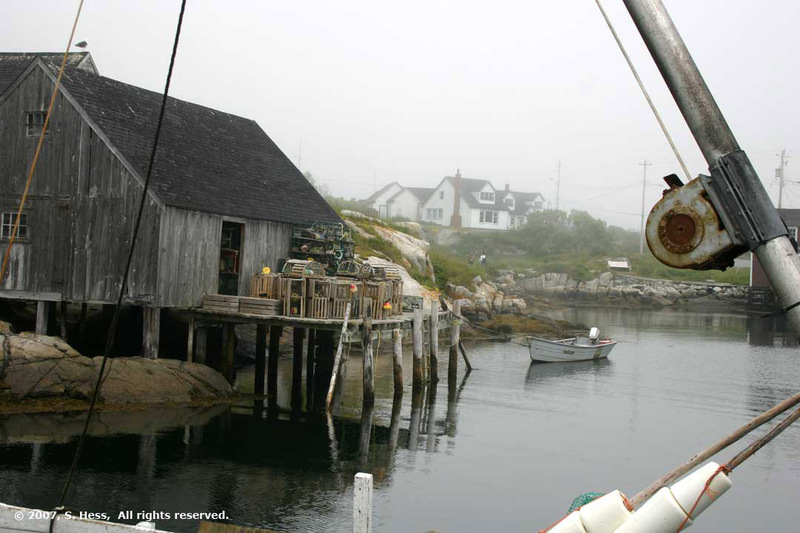 Ten minutes later we were in Peggy’s Cove and the lighthouse was enshrouded in the fog. We will try to get back here to get better pictures of the lighthouse. We did manage to get some good pictures of the town and it is easy to understand why it is so frequently photographed. By the time we got back to the campground, it was gloomy there as well. Hopefully this fog and clouds will be gone tomorrow. 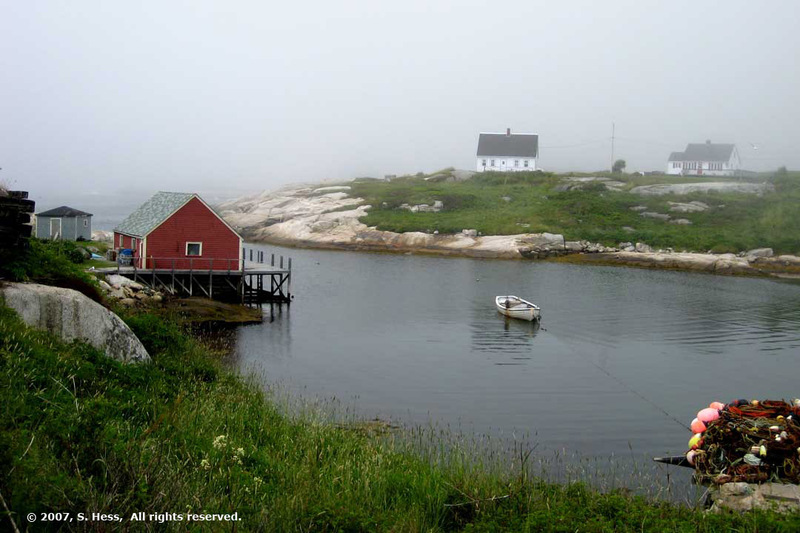 Peggy's Cove Lighthouse. 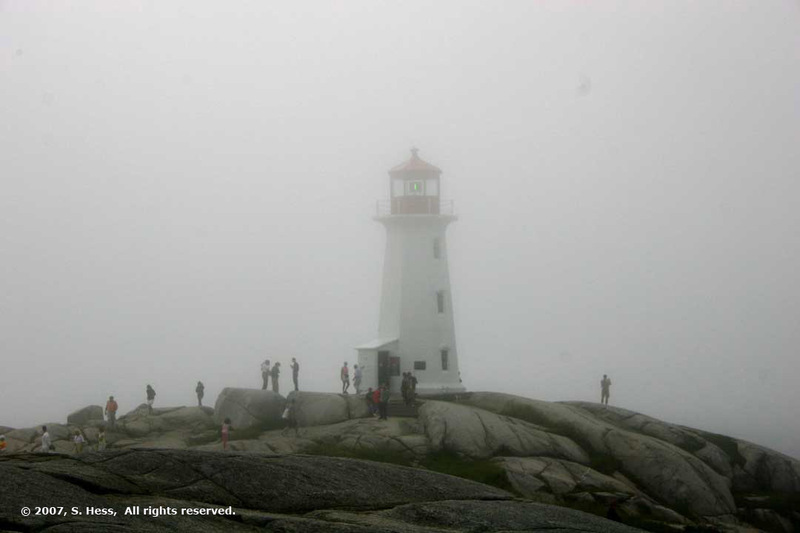 As someone said, "fog is one of the reasons they put up lighthouses."